Faith Lessons and Others in between – Must. Write. Or else. 1. God has woven in me the perfect temperament, and I couldn’t ask for anything more, or less. I mean, I’ve heard of stories from friends who had miscarriages. Most of them went through mild depression, self-pity, and different stages of anger and hate. I, on the other hand, spent almost a day dwelling on our loss; nevertheless, I was able to get back up after a quick devotion and talk with the Lord. Had I been a Melancholy, I would have sulked for weeks, overthinking why I had to experience such demise. I am just overwhelmed at how God has put everything in my life in order, and how He made me just as I am – a Sanguine Choleric who lives for the day and possesses all the hope in the world. 2. In times of crisis, I can actually be strong — very strong. Most people who know me from childhood would disagree. I know they see me as a huge coward who’s scared stupid of cockroaches, frogs and rats — yep, I know that. And I don’t deny that I am scared of a whole lot of things, the future included. I’m afraid of physical pain — needles, getting fractured, getting terribly sick and every single thing that needs medical attention. Only after the day of my miscarriage and when one of my aunts told me that I was indeed very brave to deal with the situation — and the contractions — alone did I realize that yeah, I could actually forget my fears and deal with the circumstances head on. 3. I am We are blessed with very supportive and loving friends and family. 4. My ordeals develop faith in others. In the past week, I have been receiving some very encouraging messages from friends and family — most of whom I didn’t even expect to be updated about my condition. A particular message touched my heart when this acquaintance-turned-good-friend shared that like me, she was not yet ready to have a baby. After reading my blog post, she said that “[my] experience really inspired [her] a lot, especially when [ I ] started talking about ‘faith. '” According to her, “if it is in God’s time already, who are we to refuse His gift?” Her message brought me to tears, and I couldn’t help but thank God for allowing me to experience this miscarriage so that other couples and soon-to-be mothers will be strengthened through me. 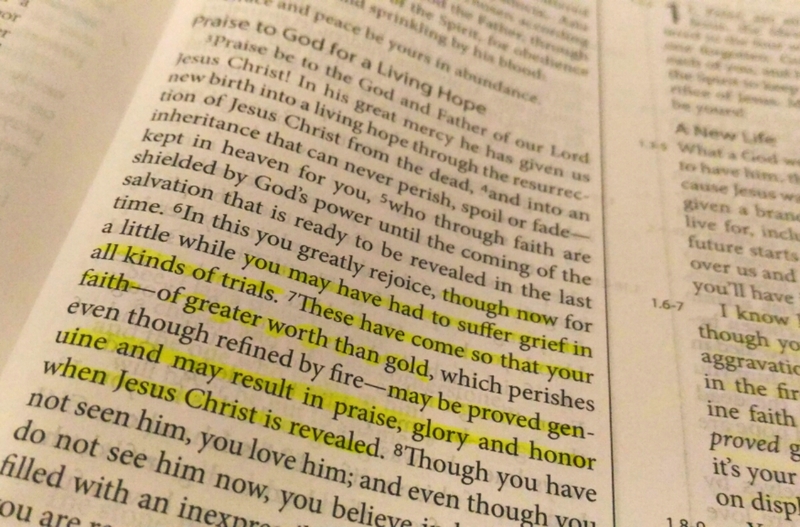 Truly, this faith resulted in praise, glory and honor of Jesus. I do agree that people don’t read clearly.